Live Beautifully Treat Cellulite The Smart Way! Cellulite is a problem that affects 80% of all women, but thanks to Dr. Michael W. Gray you can finally reduce it to get sexier, more attractive skin with his world-class cellulite treatment options. The causes of cellulite are largely unknown, but there appears to be a few main problems that can be treated resulting in improvement of cellulite. The treatment of Cellulite is directed at one or more of these factors. 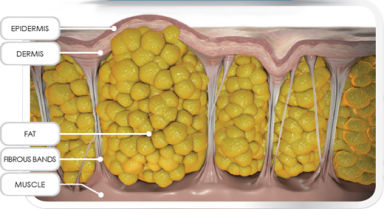 After Any Mechanical Weakening of the bonds between the fat goblets whether the intention is to just weaken the bonds or weaken the bonds while reducing fat (External Ultrasonic Liposuction with or without Smartlipo MPX / Laser Lipo or Smartlipo alone) procedures exist that should be applied during the healing phase to produce the best results. After Reducing the fat through External Ultrasonic Liposuction or Smart Lipo MPX, the remaining weakened fat cells will slowly bind (heal) back together within six weeks. During this time, fat can molded and smoothed using a combination of Venus Legacy or VS+ in Dr. Gray’s office and Wellbox or Propower at home. Venus Legacy and VS+ use varying amounts of heat to tighten skin, sound waves to diminish swelling and mechanical components to smooth the fat. These machines have advanced technology to speed recovery with superior results than if left alone. Patients who participate in their recovery obtain better results. While at home patients can enhance their results using Wellbox or Propower. Smart Lipo MPX/Cellulaze/Cellulize can be used to further reduce fat after External Ultrasonic Lipo and to smooth cellulite in the operating room. Smart Lipo MPX works by using amplified laser light to reduce and smooth fat by targeting the uneven fat goblets. The heat generated tightens the skin to improve your appearance. Septa are small threads that attach the skin to the covering that lies over the muscles. When these small threads are of unequal length the slightest movement of skin with gravity can cause dimpling (cellilite). When these fibers are heated they shorten and become more equal in length. When this happens the pull that occurs on the skin is distributed more evenly and the dimppling appearance is lessened. Thermage Cellulite Tip uses capacitive radio frequency (CRF) technology to carefully heat these fibers. Another method to treat uneven septa is to divide the septa. Smartlipo MPX/Cellulaze/Cellulize divides septa as it smooths uneven fat goblets and provides heat to the under surface of the skin to tighten skin non-surgically. Today, often using a combination of different noninvasive methods, skin tightening can be achieved without surgery. Non-invasive, no-downtime procedures are becoming more effective and affordable, making them a popular choice for patients looking to improve their appearance. These no-downtime procedures apply heat created by lasers, radio waves (High Frequency Sound Waves, RadioFrequency (RF), Ultrasonic Waves, etc.) or infrared heat energy or a combination of these to heat different layers of the skin. The heat that is generated regardless of the vehicle used to create the heat, causes the connective tissue between the cells to to shrink. This shrink-wrap effect can effectively tighten skin non-surgically over time. When opting for non-surgical skin tightening there will be different options for the face and the body. 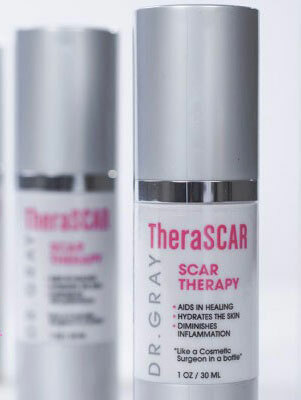 When applying heat to the skin three distinct layers can be targeted. The skin is divided into: Top, Middle and Bottom Layers. The more layers that are targeted by the heat the more tightening is achieved. 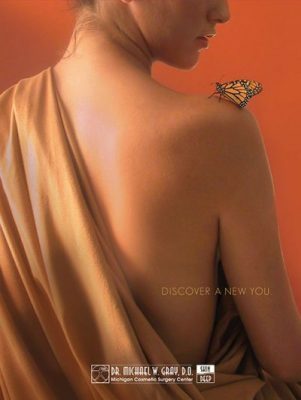 Michigan cosmetic surgeon Dr. Michael W. Gray, D.O., a West Bloomfield plastic surgery expert specializes in scarless breast augmentation and traditional breast enlargement using both silicone implants and saline implants. The Michigan Cosmetic Surgery Center also specializes in breast lifts (mastopexy) and surgical and non-surgical breast reduction procedures. Metro Detroit, Michigan cosmetic surgeon Dr. Gray is a specialist in all forms of liposuction, including External Ultrasonic Liposuction, Smart Lipo MPX, The Perfect Lipo, Zerona and Liposonix treatment. Dr. Michael W. Gray invites visitors to view video of happy patient testimonials. Call Dr. Gray for your complimentary consultation at the Michigan Cosmetic Surgery Center in West Bloomfield, Michigan. *Individual results may vary from person to person.